Dr. David E. Lee is an Associate Professor in the division of Interventional Radiology in the Dept. of Imaging Sciences with a secondary appointment as Assistant Professor of Surgery. He received his medical degree from Robert Wood Johnson School of Medicine in 1989. 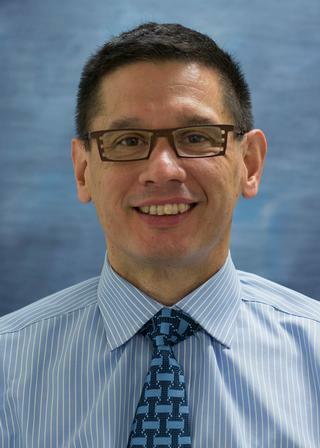 Dr. Lee completed both his radiology residency and his interventional radiology fellowship at University of Rochester Medical Center, in 1997 and 1998 respectively. Dr. Lee has served as Chief of the division of Interventional Radiology for Imaging Sciences since 2009. Currently he is conducting research with PDT in the treatment of Cholangiocarcinoma using mixed vascular/biliary techniques. His special interests include malformation treatments, uterine fibroid therapies, varicose vein treatments, transplant interventions and oncology interventions. Over the years Dr. Lee has made many presentations at national meetings and published several journal articles and book chapters. Sharma AK, Foster TH, Katz A, Lee DE, Waldman DL. "Supraumbilical rash caused by nontarget radioembolization to the falciform artery." Journal of vascular and interventional radiology : JVIR.. 2014 Mar 0; 25(3):483-4. Fang AS, Morita S, Gill GS, Kitanosono T, Mathes EJ, Lee DE, Waldman DL. "Clinical outcomes of inferior vena cava filter placement in patients with renal vein anomalies." Annals of vascular surgery.. 2014 Feb 0; 28(2):318-23. Epub 2013 Sep 29. Saad WE, Davies MG, Lee DE, Patel NC, Sahler LG, Sasson T, Kitanososno T, Waldman DL. "Transjugular intrahepatic portosystemic shunt in a living donor left lateral segment liver transplant recipient: technical considerations." Journal of vascular and interventional radiology : JVIR.. 2005 Jun 0; 16(6):873-7. Author List: Sharma AK, Drumsta D, Lee DE. Edited By: David L. Waldman, M.D, Ph.D. Author List: Gorti R; Lee DE; Davies MG.